The third time wasn’t the charm. For the first 14 weeks of her pregnancy, Duchess Kate — stricken with a severe form of morning sickness called hyperemesis gravidarum — was confined to the walls of Kensington Palace. Too ill to leave, the royal missed son Prince George’s first day of school on September 7 and all planned public appearances since August 30. “It was a difficult start to the pregnancy,” an insider reveals of the mom of two in the new issue of Us Weekly. But on October 10, Kate attended a World Mental Health Day event. 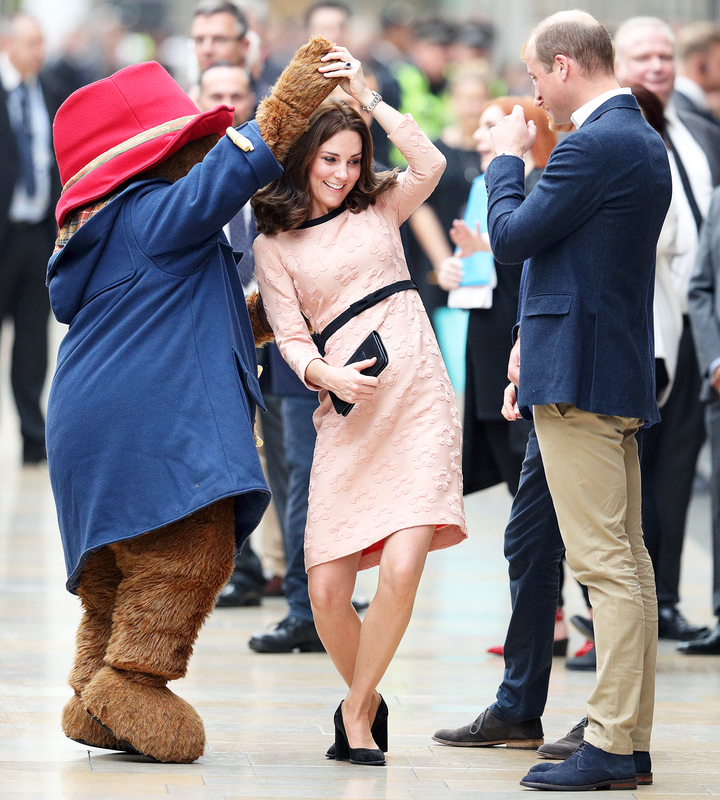 And six days later, she didn’t just get out of bed, she transformed into a dancing queen — accepting Paddington Bear’s request to take a twirl on the platform of his namesake station. The couple don’t have a response for the latter — “They’re going to leave it to surprise this time,” says the insider — but they are working out other details ahead of the tiny heir’s expected April arrival. The royal’s OB-GYN, 54-year-old Alan Farthing, who delivered both George and Charlotte, has been tapped to handle the birth, says a source: “He’s postponed his retirement to do it.” And a suite in the ultra-exclusive Lindo Wing of London’s St. Mary’s Hospital has been reserved. The new baby also won’t receive their own lady or gentleman-in-waiting. With nanny Maria Borrallo and a house assistant in place, Kate and William are set. 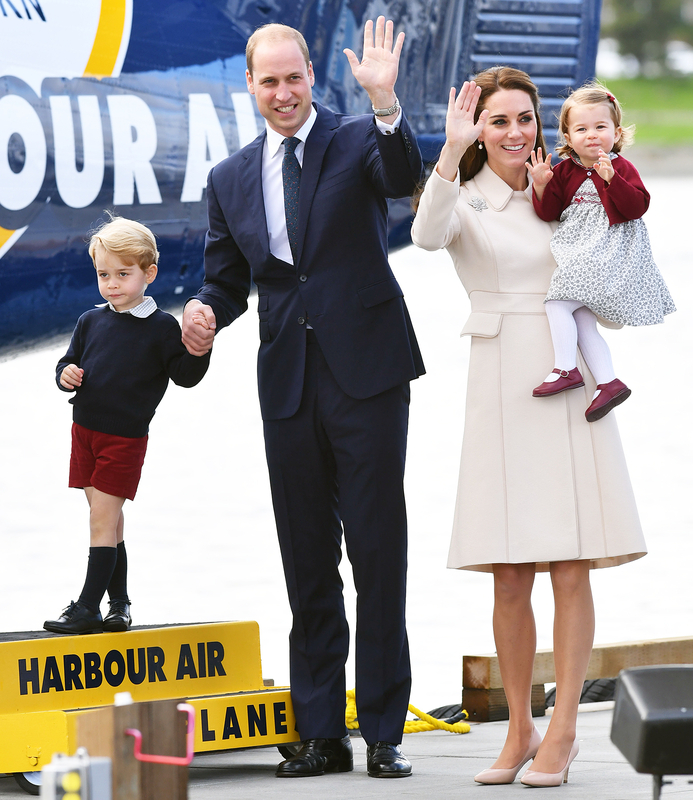 Since George is in school and Charlotte is slated to start preschool in 2018, “they feel they can handle everything with the same arrangements as before,” says a source. For more on Kate’s pregnancy — and how George is helping out — pick up the new issue of Us Weekly, on stands now!